Portsmouth has so much to see and do that it is definitely worth spending a night or two in the city or in the area, and getting there is easy thanks to its excellent transport connections. 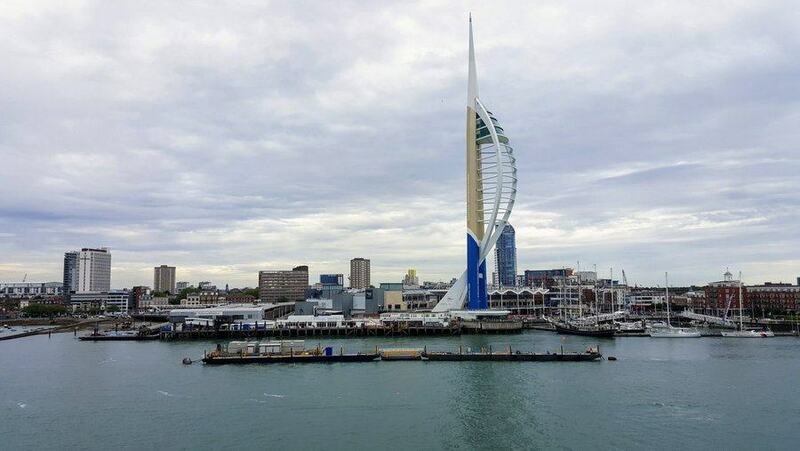 It’s simple to get to Portsmouth by car, coach or rail… and if you really wanted to, even by ferry! I drove down from London. I frequently go to Southampton and the New Forest area, so I was expecting to drive down the M3 and turn left at the end, but “Mrs Google” sent me further round the M25 to junction 10 and down the A3 instead. It’s a more interesting drive – 2 hrs 30 mins. National Express National Express operate up to 17 services a day from London Victoria Coach Station to Portsmouth up to 17 times per day, and they say their fastest journey time is 1hr 25 mins… which I find hard to believe since it took me over an hour longer!. Megabus Megabus have a stand next to the bus interchange on ‘The Hard’. They have direct routes to Portsmouth from Sheffield, Birmingham, Coventry, Leeds, Manchester, Middlesbrough, Newcastle, Oxford & Barnsley, but strangely not London. 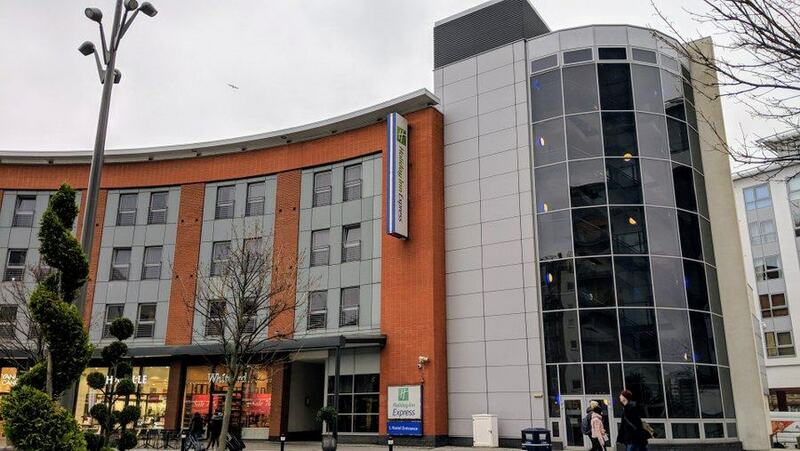 I stayed at the 3-star Holiday Inn Express in the Gunwharf Quays shopping centre (and will be again soon, for a return visit). It’s the perfect location and has the added convenience of parking in the shopping centre underground car park at £2 per day for guests. It’s modern, clean, has helpful staff and a good buffet breakfast. Royal Maritime Club Traditional hotel in navy style on Queens Street next to the dockyard. Keppel’s Head Hotel Historic hotel (1779), right on The Hard, with free parking. So historic it doesn’t have a website, so you are directed to Booking.com for info. The George Hotel A pub with rooms very near to the dockyard.. I don’t have many suggestions here. There are plenty of bars & eateries. 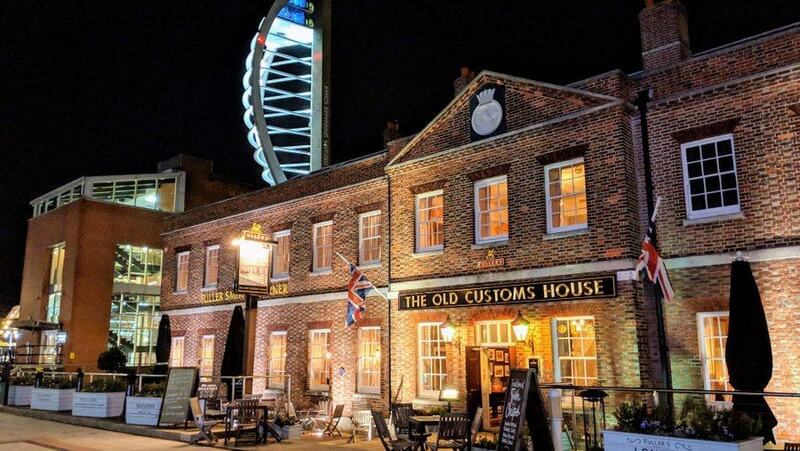 The night I stayed, I went to The Old Customs House in Gunwharf Quays, a 2 minute walk from the Holiday Inn Express. It was exactly what I wanted. Good bar food and good service. I notice there is also a Loch Fyne Seafood & Grill nearby too. That would have been my second option if the Customs House hadn’t panned out. The 170-metre-tall Emirates Spinnaker Tower on the waterfront dominates the city skyline. You can take a lift to the observation deck and step onto the Sky Walk – the largest glass floor in Europe. The famous author (of novels such as Oliver Twist and Great Expectations lived the first years of his life in Portsmouth before moving to London. The Victorian-style house where he was born in 1812, is now a museum celebrating his life. Built in 1544 by King Henry VIII to guard the entrance to Portsmouth. It was from here he watched his flagship, the Mary Rose, sink at the Battle of the Solent against the French in July 1545. Just a suggestion: if you are mobile (have a car) and wanted to take a serious multi-day touring trip to explore Mech Places in the region, you could base yourself in the New Forest (where there are loads of excellent stylish hotels, traditional country pubs and glamourous B&Bs) and then make day trips within in a 30-40 mile arc out to Portsmouth/Gosport in the east; and the Bovington Tank Museum in the west. Within the arc you could reach the army museums in Winchester & Salisbury, the National Motor Museum in Beaulieu, Bournemouth Aviation Museum, The Museum of Army Flying in Stockbridge, and a number of others.